Celtic tribes honored nature. 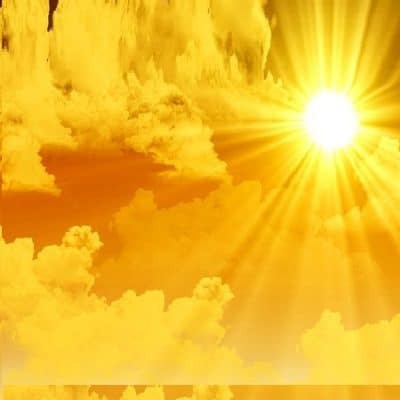 They saw forests and streams, mountains and hills, valleys and coastlines as places to commune with the “spirits of the place” or connect with the power of nature. 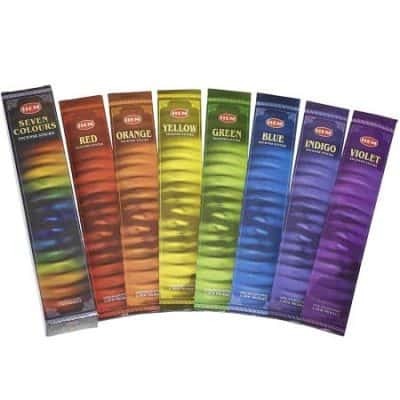 I have created a rich scented collection of incense sticks using pure essential oils, herbs, resins, honey and even sacred ground in the making of these delightful aroma-sticks! We wrap 50 incense sticks in color-coordinated paper and bind them with raffia. They are accompanied by a “special charm” that can be used on any necklace, chain or cord. Celtic tribes honored nature. They saw forests and streams, mountains and hills, valleys and coastlines as places to commune with the “spirits of the place” or connect with the power of nature. 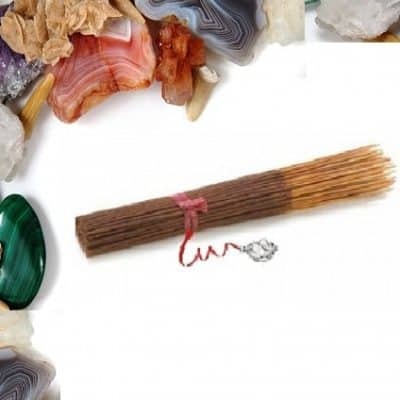 I have created a rich scented collection of incense sticks using pure essential oils, herbs, resins, honey and even sacred ground in the making of these delightful aroma-sticks! 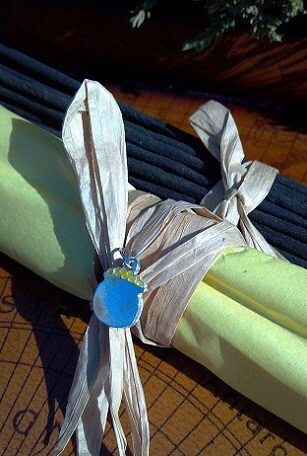 We wrap 50 incense sticks in color-coordinated paper and bind them with raffia. They are accompanied by a “special charm” that can be used on any necklace, chain or cord. The Woods of Celidon: in Scotland, also called The Caledonian Forest, was the site of one of King Arthur’s Twelve Battles. The “army of trees” animated by sorcerers in the Welsh poem (The Battle of the Trees) are intended to be the Caledonian Forest. With a majestic collection of Scots pine, birch, rowan, aspen, juniper and oak, this infamous wood has a hallowed place in Celtic history. We blend together scents of Royal Scots pine with fragrant juniper along with the mystical embrace of lichen, fern and moss. 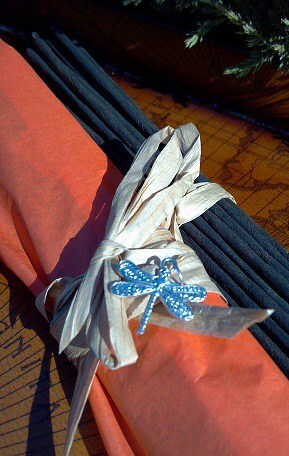 The dragonfly charm of the Celdion Woods represent courage, luck, strength and happiness. The Celtic Lover’s Lot: was symbolized by the Endless Celtic Knot! A symbol representing eternity or infinity. The Celtic culture wore this symbol for good luck and protection. It is one of the Eight Auspicious Symbols. The rope represents the matter of the Universe, while the space between the knot represents spirit. These two elements are considered the co-dependence of wisdom/compassion, male/female and night/day. We blend together romantic rose oil, petals and rose hips with luscious hibiscus flower and ruby red geranium! 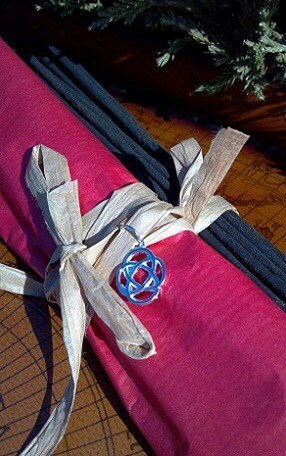 The mystic knot charm represent the endless binding of two loves together. The Springs of Sulis: was the highest profile mineral hot springs in Britain. Dedicated to the Goddess, Sulis, she was worshiped at the thermal springs of Bath, Somerset. These prolific, sacred waters where visited by pilgrim from all across the Celtic World. We blend together the deep blue blossoms of malva flower, sacred white globe flowers and vibrant violet calcatrippae accentuated with blue nile, gardenia and lavender essential oils. 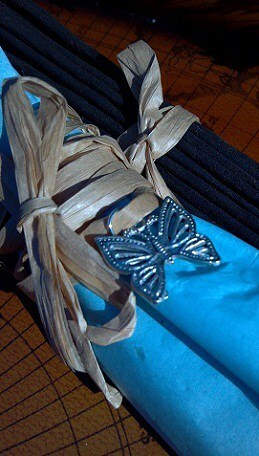 The butterfly charm represents positive change from one situation in your life to another. The Emerald Gardens: found throughout the Celtic world, the attention to natural gardens became a spiritual sanctuary and golden opportunity to commune with nature and the spirit of the Green Man, or Woodwose along with the Qwein of the Faeries. We blend together joyful heather, purple basil and wistful strawberry leaves, steeped in precious eucalyptus, lovely lemon balm and delectable dandelion. 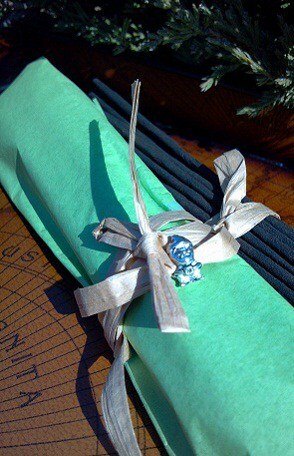 The nimble gnome charm represents good luck, grounding and the perpetuation of knowledge. 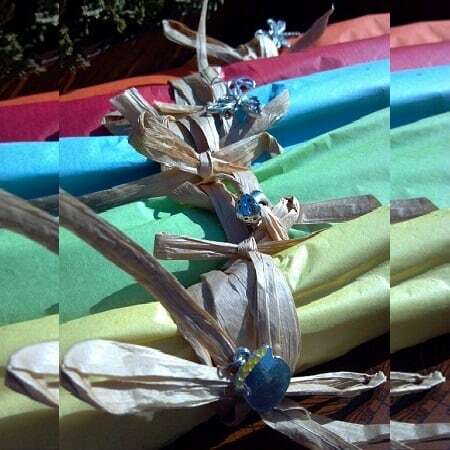 The Rainbow’s End: is the culmination and symbol of hope, happiness, inner peace and harmony of spirit. It represents bridging the gap between heaven and earth. In Celtic lore, the end of the rainbow harvests a bounty of treasures and the proverbial pot o’ gold! 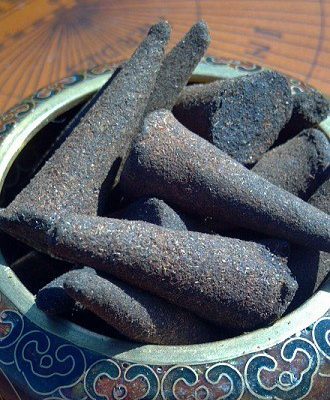 Let these wonderful incense be a reminder that the first part of a journey begins with a single step and that the real treasure lies in the “finds” along that journey. So enjoy the ride! We blend together Pachira aquatica, the money tree’s leaves, nut and seed along with a colorful array of lavender buds, rose petals, blue malva flower with lemon and sweet orange essential oils. The pot of gold charm represents a reminder of the fulfilling gifts already in your life and the promise of appreciation!